Regardless of the types of food they prepare, industrial and commercial kitchens all require serious cleaning to maintain the high standards expected by customers and demanded by health and safety inspectors. The sheer amount of scrubbing and sanitizing required daily, weekly, and monthly can easily overwhelm commercial kitchen managers, often resulting in crucial areas being overlooked. From kitchen floor cleaning, to walls, backsplashes, and dish machine exhaust systems, we strive to meet the highest kitchen cleaning standards possible. Commercial deep fryers, charbroils, ovens, range top stoves and flat top griddles are where most commercial fires start! Of course cooking equipment must be cleaned daily, and during use, but scheduled commercial deep cleaning will ensure your kitchen clean, smells fresh and meets safety requirements. Maintaining a clean, safe commercial kitchen environment begins with the floor. In addition to daily cleaning by your staff, your kitchen floor should be thoroughly cleaned and sanitized on a regular basis, It is important to make sure it remains grease free, avoiding slips and falls. Overhead lights and fans often fall into the “out of sight, out of mind” category when cleaning commercial kitchens, but they have the potential to contaminate the entire area with dust and bacteria if forgotten. Hanging lights with built up grime can drop particles straight down onto food surfaces or food itself, and dirty ceiling fans can spread contaminants throughout the whole kitchen, especially when first activated for the day. Exhaust hoods are easy to overlook since no food usually touches them, though kitchens can be chaotic places and nothing is guaranteed. Commercial kitchen hoods need to cleaned thoroughly on a scheduled basis to remove grease, dust, and bacteria. With over 10,000 restaurant fires every year resulting from mismanaged kitchen exhaust and hood systems, this is one of the most important maintenance tasks for restaurant and commercial kitchen owners and managers. The Performance Industrial team will do what it takes to help ensure your kitchen meets existing fire codes and safety inspections. 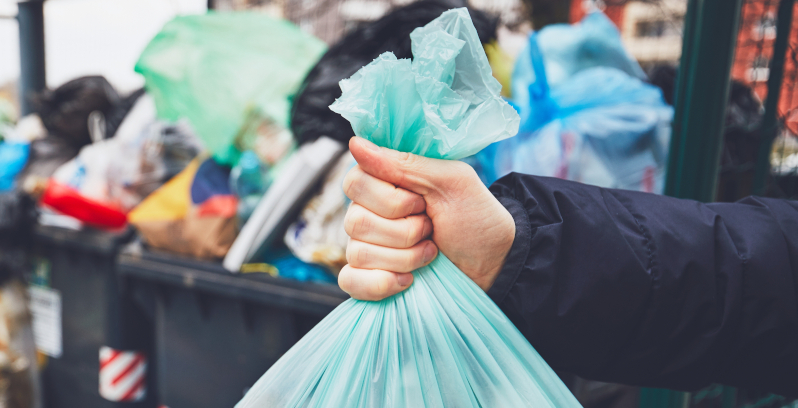 Garbage cans are the dirtiest, most germ ridden areas related to kitchens, yet they are typically not cleaned as often or as thoroughly as is necessary. Commercial or industrial trash receptacles, and particularly outside garbage dumpsters require a higher level of attention and, should be thoroughly cleaned. The experts at Performance Industrial will do what is required to accomplish this task, including the use of high pressure washing and vacume cleaning systems. Consistent cleanliness in these areas is critical in avoiding not only insects and rodents, but human contamination as well. In all restaurants, ice chests and/or dispensers are high-traffic areas, making them potential germ trouble spots. The outer surfaces of ice chests and dispensers should be cleaned and sanitized regularly, and ice containers should be emptied, cleaned, and sanitized. Sinks and faucets can sometimes be forgotten, because they are so closely associated with soap and hot water. Sinks, however, build up plenty of grime, especially in the drain and corners, areas that are easily missed. Faucets seem harmless suspended above the water, but plenty of contaminants make their way here. These areas, although cleaned daily, benefit from a thorough, commercial cleaning on a regular basis, along with deliming of the sink and faucet. Walk-in coolers, though sealed most of the time, still build up dust and bacteria if not cleaned regularly. The cooling and fan units build up dust and should be cleaned only when the cooler is turned off. This not only removes contaminants but keeps those units functioning at peak performance. During that monthly cleaning, walls, shelves, floor, and door of the cooler should also be sanitized. Similarly, free-standing refrigeration units should be cleaned inside and out. This list of commercial kitchen trouble spots is certainly not comprehensive. Performance Industrial can assess your facility and schedule a custom cleaning program designed to ensure your kitchen facilities stay as clean and in compliance as possible. Call us today at 518.793.9274 for more information, or contact us online We provide experienced, certified commercial kitchen cleaning services in Upstate NY, Vermont, and Western Massachusetts. Many of our employees are specially trained/certified NADCA, IKECA, NFPA 96. Kitchen Exhaust System Cleaning – Who Is Responsible? Many weekly and monthly commercial kitchen cleaning tasks are not all easily recognized or completed, but are critical for maintaining a clean, healthy environment for food preparation and serving. Performance Industrial can provide you with consistently effective kitchen cleaning services. Ask us about our Long-Term Placement Program, providing you with worry free services from the professionals!